Home » Automobiles-Cars » The Top 20 Concept Cars For The Future of 2020s! There is one “bad thing” about concept cars: Sometimes we can admire their cool, exotic design, but we will never be able to experience them. Nonetheless, concept cars are something for designer to pull out their wildest imagination. After all, who can resist awesome models of exotic sports cars and supercars? So with no further ado, let’s check out the Top 10 Concept Cars 2017-2018! And be prepared as the further we go through this list, the crazier these concept cars will be! Vision Mercedes Maybach 6 Cabriolet is an alluring combination between the classic design and the modern touches of technology. This concept car looks luxury and elegant from every corners. And the best part is its interior design. Looking at the interior we can feel a strong sense of antique elements blended harmoniously with futuristic styling. This 360° open-air luxury lounge feels extremely luxurious; the interior nautical blue tone matches perfectly with the exterior’s dark blue paintwork. Awesome looking? Yes! Far from reality? No! As the matter fact, judging from how Mercedes has progressed with this concept, it may not be that long til the time we can see this luxury masterpiece. Most automobile companies nowadays are pushing their concept cars to a new future, to the world of electric cars. And of course, Lamborghini, as one of the world’s leading companies in terms of innovation, will not miss this chance to amaze us all once again. And thus, what we have been introduced is an insane Lamborghini concept car: Lamborghini Terzo Millennio. Why this car is so insane? Well, aside from its striking appearance, the car is expected to include some of the craziest technologies to date, including self-repair and self-powering. When we hear about it, we may think that such crazy stuffs like self-repairing and self-powering car will not appear anytime soon. But Lamborghini is indeed trying really hard to bring this to reality with the help from Massachusetts Institute of Technology. Will we get to see this ‘outrageous’ Lamborghini soon? Time will tell! 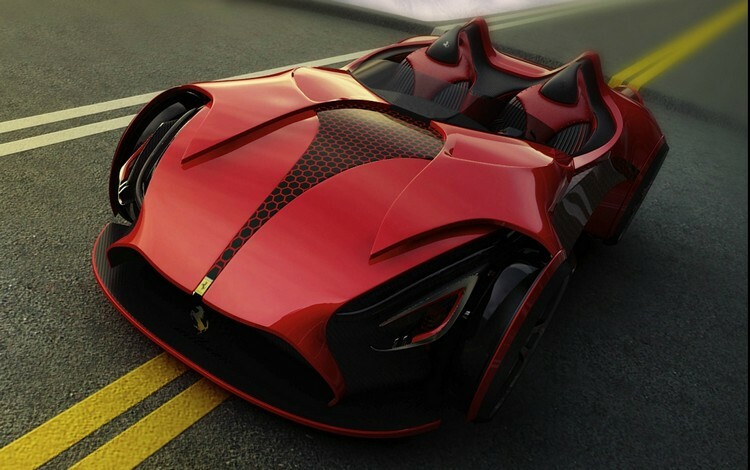 Unlike the two previous concept cars, Ferrari Millenio is actually a concept car by Marko Petrovic – a 27-year-old designer from Serbia and Yanko Design, not Ferrari themselves. Marko envisioned a future Ferrari electric two-seated car built with material much stronger than steel and even lighter than carbon-fibre. Unfortunately as cool as it looks, this is still a concept car… on paper only. Based on the illustrations, the car’s assembly looks pretty complex, including the intriguing ‘floating frontlights’. Nonetheless, let’s hope that we will get see such cool design in the future! This is the McLaren’s concept car for the future: McLaren JetSet. And just like its name suggests, this car’s exterior shape does have a jet-like vibe to it. This McLaren concept car is a minimalist, all-electric supercar, and, it is designed by a Royal College of Art graduate. The main theme of the car is to combine the traditional values of McLaren with adequate imagination of futuristic technologies and trends. The JetSet aims at keeping absolute minimum weight by using carbon-fibre composites for the entire structure from the body, chassis to even the wheels. Indeed, this concept has caught certain attention from McLaren and we can hope to see such inspiring design in the near future. 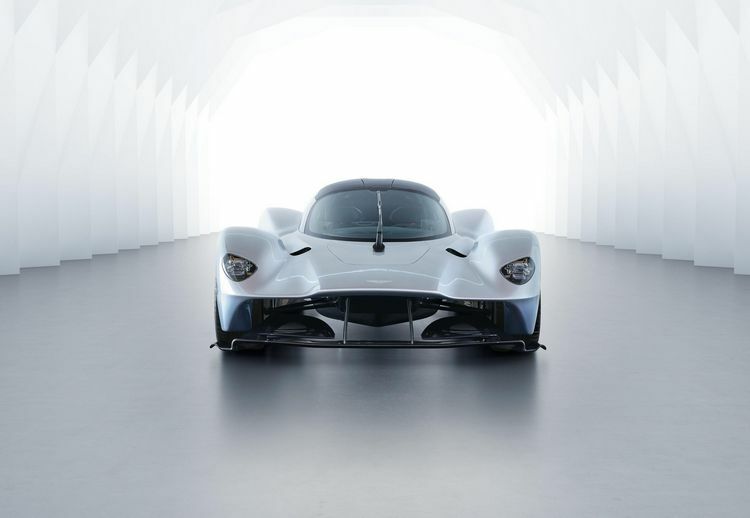 As the matter of fact, Aston Martin Valkyrie is expected to be in production; however, it will still be a waste if we do not mention its incredible concept here. The Valkyrie is the very first hypercar built by Aston Martin and in collaboration with Red Bull Racing Advanced Technologies. The car is designed to be as close as possible to a Formula One™ car, yet not restricted on track. This one will be a lightweight, aerodynamics masterpiece powered by the raging V-12 waiting to be unleashed. Only 150 road cars will be built, which means, we will get to see how powerful this Warrior of Valhalla is! Video game is an excellent platform for automobile companies to put their wildest imagination possible into virtual experience. And being real or whatnot, it is a perfect place to put concept car into test, typically Gran Turismo Sport 2017. And to celebrate this incredible racing game franchise, McLaren has put in a crazy race car – unique only to McLaren – The McLaren Ultimate Vision Gran Turismo. This 1150-horsepower virtual concept car features a rather unique cockpit design and many other interesting features. Does it look unreal? Yes! Can it become true? Possible in 2030! It is now 2018 and many people are already trying to envision what will come true in the 2020s. No doubt, 1 main theme for many daily-used cars in this relatively near future will be about comfort, freedom, and life-support. For Peugeot, it will be Peugeot INSTINCT – an inspiring concept car focusing on ‘freedom’: freedom of driving, sensations, technologies, and freedom of mind. It promises a future when smart car can adapt with user’s cloud and lifestyle. A car which can changes itself based on user’s needs? Sounds far, far away isn’t it? But not quite! Elegance, sporty, those are the two impressions we got right at the first glance at this beautiful sculpture. The most striking element of the Essentia is its transparent cockpit where drivers can see everything around them. The transparent also covers to the hood, which means we can also see the suspension, which is a really nice touch. Essentia’s interior is also a highlight of the show as its design strictly follows minimalist style. Most of the car control is moved to a single multipurpose controller or steering-wheel-mounted controls. The only thing we are not informed clearly though is the powertrain, but at least we know this is going to be electric-powered grand-tourer. And with the Essentia, we can pretty much hype for the direction Genesis is going for the future. As a British luxury car brand founded back in 1906, the history-rich Lagonda cannot simply miss the opportunities to show their most exotic concept for their future, which leads us to the Lagonda Vision. Right off the bat, the very first thing we can say at first glance is ‘luxury’. This concept car feels luxurious all the way through, from the exterior to the interior. There are many interesting elements put on this concept, for example the huge doors, huge size even the rear end, the surprisingly spacious interior including the legroom. Judging by the car’s control, we can expect the Lagonda Vision to be mostly about autonomous driving. Aston Martin plans to put in Level 4 autonomy, which highly means that the car will drive by itself for most situations. So when will we get to see this cool concept come to reality? Probably 2021! Coming in number 9 on this list is a pretty peculiar car, unlike most other luxury and sports cars we’ve seen so far. To be more specific, this so-called Renault EZ-GO is an autonomous, electric taxi which can pick up passengers and drive to the designated destination on its own. This concept car is pretty neat and cool, especially in a future scenario when most things are supposed to be automatic. The interior design focuses on simplicity, yet comfortable and easy for passengers to get in and relax. Of course this is still a concept car, but it will be extremely cool to see it in action in the future. Back in 2016, the Volkswagen introduced their first-ever I.D. family, focusing on electric, fun, and comfortable cars for the near future of 2020s. Among the four cars of this I.D. family we have Volkswagen I.D. – a fascinating concept car for daily use. And thus, it features many interesting elements like the Pilot tech which includes laser scanners to scan the I.D.’s surroundings when the autonomous-driving mode is activated. Also the fun part is: drivers can press and hold the VW badge on the steering wheel to activate self-driving mode. After that, the steering wheel will collapse and retract into the dashboard. Besides this cool idea, there are some other neat features, which we hope to see them in more details in the near future. Judging by the future trend, the SUV segment seems to move to the electric, autonomous cars. And to prepare for such future, Mercedes showcased their brand new concept car Mercedes Benz EQ with the focus of “Emotion and Intelligence”. The EQ runs on electric, and interesting enough, Mercedes said that they will offer infrastructure and the free app “Charge&Pay” for convenient recharging at public charging stations and even at homes and businesses. Mercedes also showed us the potential design for the EQ’s interior and it is phenomenally futuristic. With the EQ, Mercedes has readied to unfold what future brings to us. Sporty, powerful, convenient, BMW I Vision Future Interaction has drawn a compelling future when people living in the world of extreme technological advancement. The car looks really cool and sporty, and curious enough, it does not have doors but instead, it features a vast futuristic technological experience. Based on BMW’s demo video, the idea of the BMW i Vision is to provide a smart sports car which can adapt to driver’s needs and daily life. It features smart AI which is literally like our personal butler who will help us from driving to even connecting other people. This is an extremely cool concept car and if they manage to make it come true in early 2020s, it will be one hell of an experience! The Renault Trezor was first unveiled in 2016 and it totally blew the people’s imagination away with its concept. In terms of appearance, the Renault Trezor looks more like a ‘spaceship on Earth’ rather than a… standard sports car (but it is a good thing). The Trezor looks smooth in every corner, sleek lines, and the most impressively, its ‘hood-roof’. Unlike standard car build, the hood and the roof of this car is actually one piece, which means when we open the hood, we will open up the first-half part of the car. The Trezor’s interior also gets a nice combination between woods, leather, and technological element. Feeling hyped? Don’t worry because this awesome sports car may not be that far off! The BMW Vision Next 100 looks extremely impressive, and it feels impressive. This incredible concept car features 2 prominent features: Companion digital intelligence and Alive Geometry. The Companion aims at providing intuitive and natural assistance in every driving situation; whereas the Alive Geometric both serves as an analogue display system on the dashboard and as alerting system about the surroundings. As the head of BMW Group Design – Adrian van Hooydonk stated: “if you are able to imagine something, there’s a good chance it could one day become reality“, let’s see if it will be true! In the future where everything is technological advanced, surely the luxury car segment will also have to step up with their game. And thus, the famous Rolls Royce has shot their first fire with its phenomenal Rolls Royce 103EX. The main idea of the EX103 is to create a luxurious ‘moving sculpture’ with a ‘soul’, or to be more specific, an autonomous car with personality. Rolls Royce aims to create a sophisticated AI called as ‘Eleanor’ which can learn, adapt, and even interact with the users and passengers. To be honest, we may not see this exact concept in the future; however, Rolls Royce has given a good idea of what will come in the next 100 years. Japan is too famous for their technological advancement in this 21st century. And of course, in this vision race of 2020s, Japan will not hold anything back either, introducing Nissan IMx – a goal set up by Nissan Intelligent Mobility. Aside from looking quite a cool Leaf SUV, the IMx is promised to feature a prominent driving assistance called ProPilot. In addition, the interior will also be much more bigger, clean, and comfortable for both drivers and passengers. As Nissan’s Executive Design Director – Satoru Tai claimed: “The Nissan IMx is not a dream; it is what Nissan Intelligent Mobility is aiming for in the future”, maybe the IMx may not be that far away from us after all. We have taken a look at plenty of futuristic, electronic concept cars by now; therefore, why not return to the present days and witness an incredible hypercar concept: the Apollo IE. And in fact, this crazy $2.7-million hypercar is coming close to reality. The Apollo IE’s full name is Apollo Intensa Emozione, which as you can guess: Intense Emotion. And true: the Apollo IE promises to bring on an insane 6.3-liter V-12 which is claimed to possess 780 horsepower and a top speed of 208 mph. 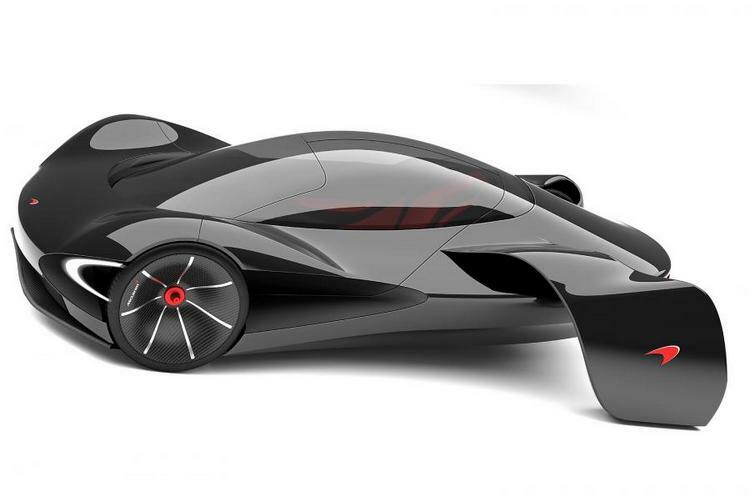 So if you are interested in a real, functional Batmobile; looks no further than the Apollo IE in 2019-2020! The idea of futuristic concept cars may sound so far, far away. However, the idea of electric car has already come true especially when Tesla announced their upcoming electric lines, specifically the Tesla Roadster and the Tesla Semi Truck. The Tesla Roadster features an insane power of +250 mph top speed and 0-60 mph acceleration time of 1.9 sec. On the other hand, the Tesla Semi Truck features long-distant, safe and comfortable ride. Its interior will remove all the standard control and instead, it includes 2 huge infotainments on both sides which will display all the information the driver needs, including the side mirror views. It is a really cool idea for present days and probably we will get to see it in real action in 2018-2019. Coming to the future, many people envisions a smart car which is… more like an android-ish car with personality rather than a… plain car. And that is exactly what Toyota wants to push forward with Toyota Concept-i. Toyota Concept-I is not simply an autonomous, electric car, it features an extremely intelligent AI called as ‘Yui’ which can be our partner, not just a support AI. As a partner, Yui can communicate, adapt to our lifestyle and thus, support and inspire us in various situations. Fascinating isn’t it? And also check out that aesthetic style! Let’s hope that it will be the staple in near future! Answering the future trend of autonomous, AI-controlled cars, Honda also brings out their newest concept of Honda NeuV – a mini electric concept car with personality. Its appearance design may not be that impressive; however, it suits nicely with its aim of daily urban use. The car follows what Honda calls as ‘subtractive simplicity’ design from exterior, interior, to the user interface. The standard control is replaced by a huge infotainment screen including everything we needs from an urban car. The door is also an interesting part since it covers almost all the side. When open, it pushes out a little bit and rotates up in 90 degree. In this way, passengers can easily get in the car, even in tight space. And finally, it includes an intelligent AI named ‘Hana’ which can adapt to users’ daily life and learn to support them as best as possible. It can also detect users’ health condition like heart rate or emotional state to come up with the best suggestion. A cool and neat idea indeed, especially for people who wants to focus on futuristic practicality. And that’s it folks! Those are the 20 concept cars for the future of 2020s! And for now, thank you and stay tune for more news in the future! Pingback: Prototype McLaren Senna Review: The Ultimate Passion!